Here’s another setting that can help you process your mail more quickly. 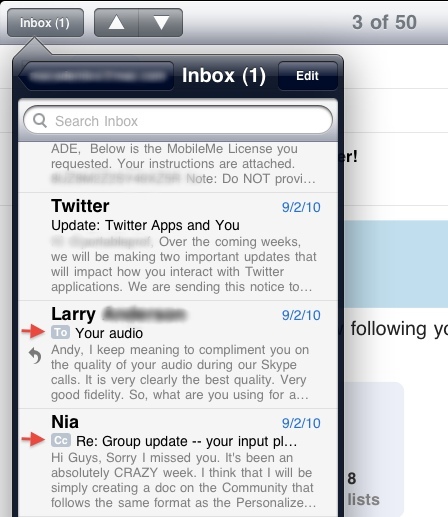 Set Show To/Cc Label to “On.” This will add indicators before each message in your inbox. When you see “To” you know the message was sent directly to you. (Your name appears in the “To” field of the message.) If “Cc” is before the message, then your name appears in the Cc field, so you were copied on the message. If no indicator is showing, then the message was sent to a list using a generic bulk address and is likely lower priority.